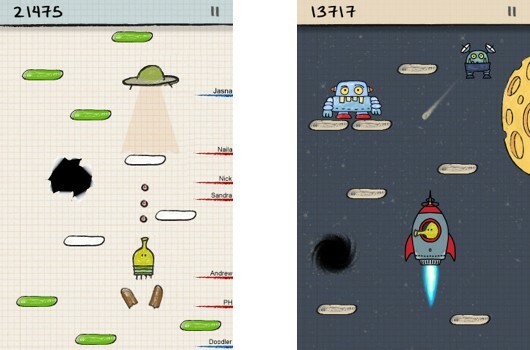 Doodle Jump, one of the most popular and addictive Apple app store games, is heading to Kinect for the Xbox 360. Lima Sky's often updated and imitated game requires players to simply bounce as high as possible, shooting at or avoiding enemies and traps and picking up power-ups to gain speed and height. Although there are no details on how the game will control with Kinect, we can't imagine it requiring much more than leaning or stepping left and right and pointing to shoot. We unveiled the possibility of Angry Birds heading to Xbox Live Arcade with Kinect support last month. Given that the iPhone has no buttons for gameplay, like Kinect, such ports make perfect sense. Could these be the first of many such ports from iPhone to XBLA? Let's hope so!